Storytelling in business valuations brings definitiveness to the arbitrariness of value. I’ve written much about storytelling’s importance. Yet, I was surprised when I attended a business valuation seminar by Skoda Minotti CPA’s, Business & Financial Advisors. 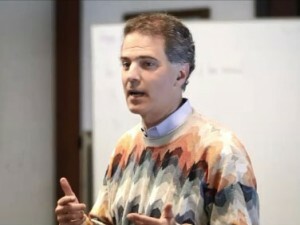 One of the presenters, Robert Ranallo, who frequently serves as a court-appointed attorney in the resolution of complex commercial disputes and business valuation matters, unexpectedly emphasized storytelling’s importance in response to a question I had. Business valuations fascinate me. Value is so arbitrary. They exemplify the tremendous effort we’re willing to give definitiveness to this arbitrariness. He gave this context. The process is often too complex to explain effectively in court. Moreover, if both valuators are competent, distinguishing processes is difficult. Even identical processes could produce different values. Their underlying assumptions differ. These assumptions generate different numbers for the process. Already, even this simple context does not remove complexity. The story becomes the cement holding the pieces together. Rather than see many scattered bricks, we see a single construction. Storytelling overshadows complexity. Business valuations exist at the intersection of the arbitrariness of value and the definitiveness of law. Emotionally, we crave definitiveness. It’s a security blanket. We will force definitiveness upon arbitrariness even if the fit isn’t good. In high school, we had to show our work behind math answers. The answer alone only received half credit. Showing our work is telling the story behind our answer. Business valuations are much the same way. We can’t go into court with just a value. We need to show our work. Yet, they also differ. Mathematics often has definitive answers. Business valuations don’t. They vary with assumptions. We need stories to justify our assumptions, to make them real. They show that our assumptions are not just figments of imagination. Perhaps, storytelling’s importance in business valuations is proving fiction’s practical power. Stories explain our assumptions. Assumptions are professional speak for imagination. Yes, excellent fiction makes it easy to believe imaginations are real. What about it, Katina? In what context do you mean or just generally?